The Department of English and Creative Writing and the Society of Fellows welcome Zambian writer and Associate Professor of English at UC Berkeley, Namwali Serpell, to Dartmouth. Namwali Serpell was born in Lusaka and lives in San Francisco. Her first novel, The Old Drift, is forthcoming with Hogarth (Penguin Random House) in 2019. She won the 2015 Caine Prize for African Writing for her story, "The Sack." In 2014, she was chosen as one of the Africa 39, a Hay Festival project to identify the most promising African writers under 40. In 2011, she received a Rona Jaffe Foundation Writers’ Award. 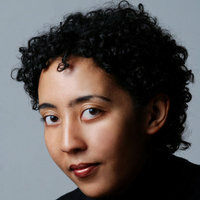 Her first published story, “Muzungu,” was selected for The Best American Short Stories 2009, shortlisted for the 2010 Caine Prize, and anthologized in The Uncanny Reader. She is associate professor of English at UC Berkeley. Her first book of literary criticism, Seven Modes of Uncertainty, was published in 2014 by Harvard UP.